The nominees for the 2019 JUNO Awards were announced earlier today from CBC’s headquarters in Toronto, hosted by CBC Radio personality Raina Douris. Multi-Platinum star Shawn Mendes leads the pack of nominees with 6 nominations, followed by R&B superstar The Weeknd with 5. Loud Luxury and bülow, who will both perform at the 48th annual broadcast along with Corey Hart, both received 4 nominations. The full list of nominees can be viewed here. 12-time JUNO winner and Diamond-certified artist Sarah McLachlan, who was inducted into the Canadian Music Hall of Fame in 2017, was announced as the host for this year’s awards, and was in attendance to reveal this year’s nominees. Prior to announcing McLachlan as this year’s host, CARAS/JUNOs President & CEO Allan Reid took to the podium to welcome the industry guests in attendance, congratulate this year’s special award recipients, and reveal new details about the JUNO Week celebrations in London, ON. Reid also announced preliminary details on a new partnership with the National Music Centre, as well as an “Allies in Action” discussion panel in partnership with Women In Music Canada, Canadian Live Music Association, and PwC. 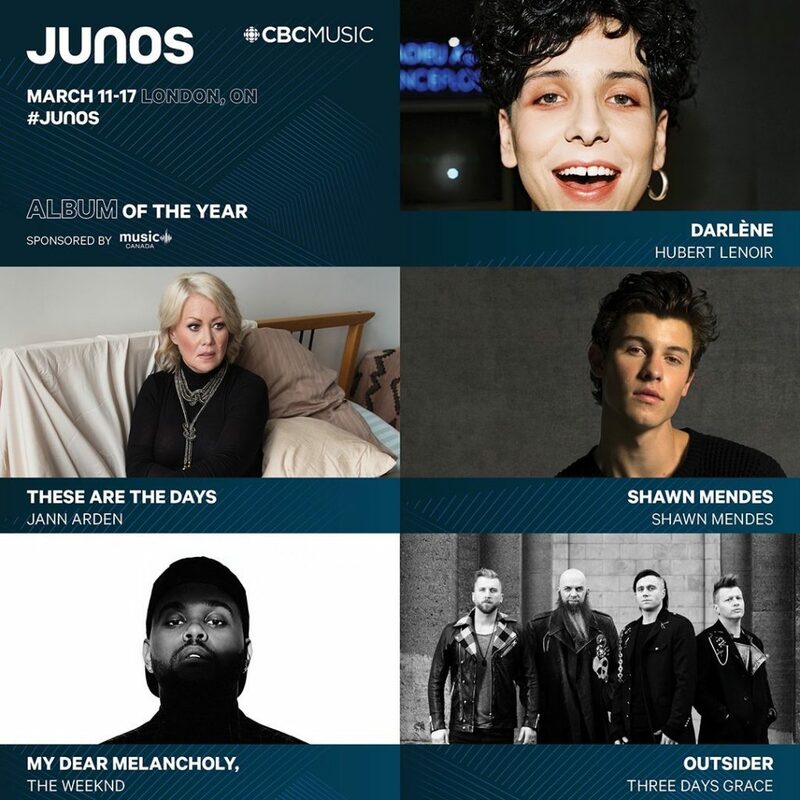 Music Canada is proud to work alongside the JUNOs and return as sponsor of the Album of the Year category, featuring the albums Darlène by Hubert Lenoir, These Are The Days by Jann Arden, Shawn Mendes by Shawn Mendes, My Dear Melancholy, by The Weeknd, and Outsider by Three Days Grace. Fans will have the opportunity to vote for their favourite JUNO artists with the 2019 Fan Choice category, featuring nominees Alessia Cara, Avril Lavigne, bülow, Elijah Woods x Jamie Fine, Killy, Loud Luxury, NAV, Shawn Mendes, The Weeknd, and Tory Lanez. Fans can vote by sharing the official JUNO Fan Choice hashtag on Twitter or Instagram, or by including the hashtag in a comment on any post on The JUNO Awards Facebook Page. As well, fans can vote by listening to their favourite artists’ songs in the official JUNO Fan Choice Presented by TD playlist on Apple Music. The City of Toronto’s Municipal Licensing & Standards (MLS) division is holding public consultations as part of its noise bylaw review. The review aims to introduce updates that reflect our growing and vibrant city, while enhancing the noise standards that protect the residents of Toronto. Public consultations will take place during a series of five meetings between January 28 to February 06, 2019 that aim to present and seek feedback on developing Noise Bylaw updates. The third meeting will be centered around the topic of ‘Amplified Sound’, and will be highly relevant to the music community in Toronto. Artists, venue operators, festival and music event organizers, and many other members of the live music industry are invited to attend and contribute to the process. The meeting will take place on January 30th at the Scadding Court Community Centre (707 Dundas St. West), from 6-8 p.m. The music industry has played an important role in helping to influence policy-making at the City. In particular, the Toronto Music Advisory Council (TMAC) has had a significant impact on the development of various noise bylaw-related initiatives. Indeed, one of TMAC’s major accomplishments was its role in endorsing the adoption of a version of the ‘Agent of Change’ principle in Toronto – a landmark policy decision that will go towards helping protect live music venues in the city. 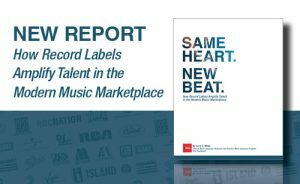 A comprehensive new report highlighting how record labels have transformed in response to the digital and streaming age was recently released. The study was conducted by NYU Professor Larry Miller (who also hosts the popular Musonomics podcast) and was commissioned by the Recording Industry Association of America (RIAA). The report – entitled Same Heart. New Beat. How Record Labels Amplify Talent in the Modern Music Marketplace – features in-depth interviews with 50 company executives at both major and independent record labels. The study also incorporated revenue data from the RIAA on the music industry over the last several decades. The RIAA’s Chairman and CEO Mitch Glazier discussed the impact of the study in a recent op-ed. The report examines many different components of the relationship between labels and artists. In particular, it outlines: the evolution of label efforts to discover and market musical artists; how marketing plans differ and enhance opportunities for artists in a streaming world; the increasing role of data in label strategies; approaches undertaken by labels to build artist branding, and more. Data analysis has become a crucial tool for record labels: a variety of techniques and algorithms have been developed by labels in order to ingest the huge amounts of data available, in order to quickly produce actionable insights. Data has become king. Labels are transitioning from B2B businesses to direct-to-consumer businesses, with a particular focus on building strong relationships with fans: As Professor Miller describes, the shift from the ‘access-based’ model of today has meant that artists often release a continuous flow of new content, rather than the traditional every-other-year album release cycle. The structure and promotional capacity of record labels has rendered them the most effective body to undertake these marketing necessities. Indeed, the report outlined how the labels’ promotional ‘machines’ are best equipped to release a steady flow of singles, EPs, and albums and videos and maximize the impact of each, while the social media departments are able to support this promotion through various social media platforms. The digital transition has had a profound impact on the modus operandi of record labels, due to the prevalence of massive amounts of real-time discovery and consumption data: Staff at labels now analyze thousands of global inputs, such as: Twitter, Facebook followers, YouTube views, Instagram interaction, Shazam queries, Wikipedia searches — and more. This is in addition to the daily analysis of streaming and download figures on numerous music services, often globally. All this data is then consolidated and utilized to develop highly customized plans for artist releases. Read the full report: Same Heart. New Beat. How Record Labels Amplify Talent in the Modern Music Marketplace. 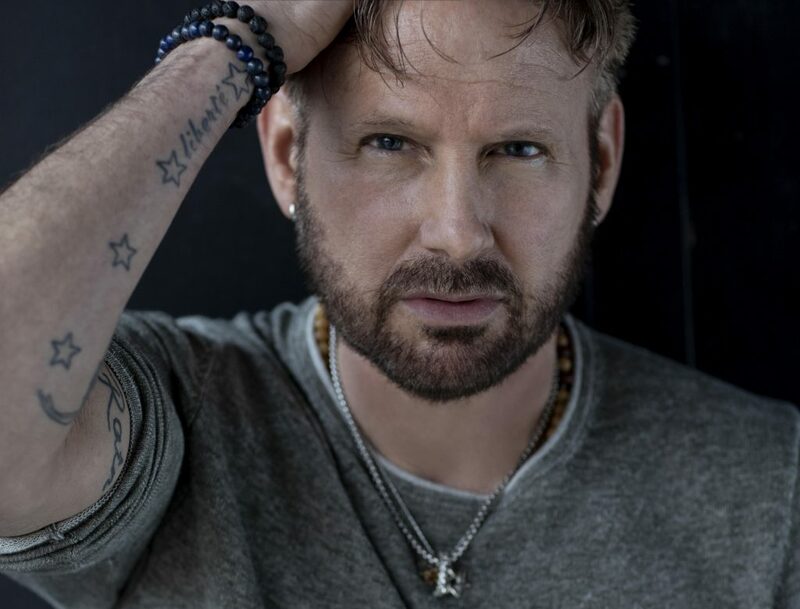 On Sunday, March 17, Corey Hart will be officially inducted into the Canadian Music Hall of Fame during the 2019 JUNO Awards broadcast at Budweiser Gardens in London, ON. To celebrate the induction, Hart will take to the stage to perform on live television for the time in 20 years. Hart has sold over 16 million records around the world, with his 1985 album Boy In The Box receiving a Canadian Diamond certification, and his debut album First Offense, featuring the iconic lead single “Sunglasses at Night,” reaching Triple Platinum status. Fans from across the world can tune-in to this special performance as part of The 2019 JUNO Awards broadcast live on CBC, CBC Radio, the free CBC Gem streaming service in Canada, and globally at cbcmusic.ca/junos. On Tuesday, Nielsen Music Canada released their 2018 Year-End recap and key insights. According to Nielsen, the music industry experienced significant overall growth, with total album equivalent audio consumption up 21% over 2017, driven by a 47% increase in on-demand audio song streams compared with last year. The album with the highest total consumption is Drake’s Scorpion, which features “God’s Plan,” the most consumed song of the year. As Music Canada reported in the 2018 Gold/Platinum Year-End Recap, Scorpion was also highest certified Canadian album released in 2018, while “God’s Plan” was the highest certification in 2018 for a Canadian artist at 8x Platinum. In addition to soaring vinyl sales (up 25%) and digital consumption (up 22%), 2018 was also a significant year at home and abroad for Canadian artists, emerging domestic and international female artists, blockbuster movie soundtracks, and K-Pop. Click here to view Nielsen’s full 2018 year-end recap. December 18, 2018, Toronto: Music Canada is pleased to see that reforms to the Copyright Board of Canada were made official as the Government of Canada’s Budget Implementation Act, 2018, No. 2, (Bill C-86) received Royal Assent. The changes will make the Board’s processes faster, more efficient, and more predictable. When the reforms come into force in April 2019, they will address a long-held concern of the music sector. The Copyright Board plays a vital role in relation to Canada’s music community by setting rates that directly impact the value of music and the amount that artists and labels receive for their investment. Music Canada has been a lead advocate for full and meaningful reform of the Copyright Board. “Everyone that works a job likes to be paid fairly and the changes made are a huge step for all of us that make music for a living. I applaud the government for taking action on this,” says Gord Bamford, one of the most decorated artists in Canadian country music with an impressive 24 Canadian Country Music Association (CCMA) awards and multiple JUNO nominations. Music Canada looks forward to working with the government to support the implementation of these changes as the reforms come into force. The 2018 JUNO Breakthrough Artist winner initially released the song in 2016, and included it on her debut EP Kiddo in 2017. During the 2018 JUNO Awards in Vancouver, Reyez was joined by Daniel Caesar to perform the song, with a studio version released following the broadcast. Watch the performance of “Figures” below. American rock band Pop Evil kicked off their Canadian tour in Toronto last week with a sold out show at Lee’s Palace. 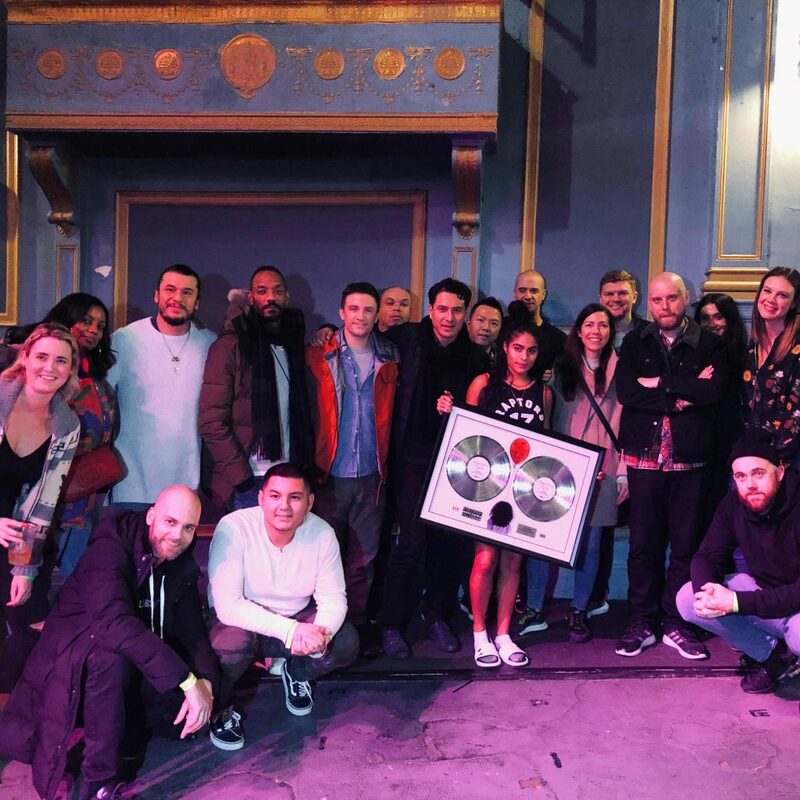 Prior to hitting the stage, the band was surprised by eOne with Gold plaques for their single “Footsteps,” which is the lead track from their 2015 album Up. The band shared the news on Instagram, thanking their fans and label for help making the song reach Gold status in Canada. The band will wrap the Canadian leg of their tour on December 3 in Saskatoon, SK. Watch the video for “Footsteps” below, and stream the song now on our Gold In Canada playlist. In an op-ed published today in The Hill Times, distinguished Harvard professor and author Debora Spar examined how rapid technological advancements have affected the evolution of the recorded music industry – highlighting how governments worldwide are reforming their copyright legislation to contend with the rising impact of these digital-based streaming services and user-upload platforms. The article was adapted from a keynote speech Spar delivered at Music Canada’s 2018 Playback event in October. In her remarks, she discussed her groundbreaking 2001 book Ruling the Waves: From the Compass to the Internet, a History of Business and Politics along the Technological Frontier. In the piece, Spar outlined the book’s thesis that the Internet – like of a long chain of communications technologies that began with the printing press, telegraph, and then the radio – was destined to go through four major phases of political and commercial evolution. 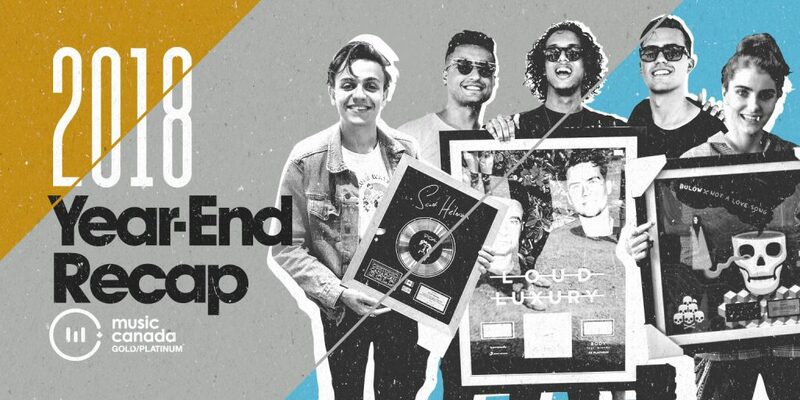 From here, the piece highlights how the progression of these four stages parallels major developments within the music industry, with the ‘innovation’ stage occurring in the 1980’s and early 1990’s. Spar goes on to discuss how the industry is now in the hypothesized ‘rule-making’ stage – pointing to government initiatives like Canada’s ongoing Copyright Act Review as evidence we are in this final phase of regulation and enforcement. Read the full Hill-Time piece here.